Obituary for Mark H. Scheffler, Ed.D. Mark H. Scheffler, age 71, passed away on Saturday, February 3, 2018 after battling Acute Myeloid Leukemia. Mark will be lovingly remembered by his wife of 44 years, Carol Scheffler; son, Brian Scheffler and wife Tracey; sister, Janie Eichholtz and husband Bill; grandchildren, Reese Scheffler, Taylor Walsh, Kennedy Walsh, and Zach Walsh; nieces and nephews, Jeffrey Bailey, Matthew Bailey, Jennifer Self, Chris Bannon, Lance Eichholtz, Kristin Eichholtz, and Ashley Moore; sister-in-law, Mary Bannon and husband Richard; brother-in-law, Robert T. Burns, Jr; Aunt, Jane Scheffler. He is preceded in death by his parents, Harvey and Nelda Scheffler. Mark was born and raised in San Antonio, Texas. He graduated from Highlands High School and received a Bachelor of Science degree from Southwest Texas State University, a Master of Education degree from Our Lady of the Lake University, and a Doctor of Education degree from Texas A&M University. He started his 44-year career in education at South San Antonio ISD. He was a physical science and chemistry teacher, Administrative Assistant, and Dean of Boys of South San Antonio High School. He was the Assistant Principal of South San West Campus. 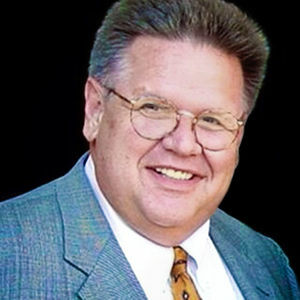 The remainder of his career was spent with North East ISD where he served as Assistant Principal of Robert E. Lee High School, Assistant Director of Pupil Personnel Services, Principal of Theodore Roosevelt High School, Principal of Winston Churchill High School, and Associate Superintendent of Campus Administration and Personnel. After retirement, he joined The Executive Edge Group of Texas, Inc. and conducted training sessions in effective leadership development. To summarize his entire career, one can state that Mark Scheffler always considered what was best for children as the first priority in his decision-making. He enjoyed children and felt they keep one young in spirit and mind. Mark lived his life with the highest level of integrity, had a compassionate heart, and was a mentor to many. Memorial service will be held on Friday, February 16, 2018, 11:00 a.m., at Alamo Heights United Methodist Church, 825 East Basse Road, San Antonio, Texas 78209, with Pastor Charlie Simons, officiating. A reception will follow the service in the church's Christian Life Center. Special thanks to Dr. Suneetha Challagundla, Dr. Martin Wiesenthal, Dr. Rebecca Peters, and the Oncology nurses and staff members at the Methodist Hospital-Medical Center for their outstanding medical care, compassion, kindness, and friendship. Memorial donations in memory of Mark may be made to MD Anderson Cancer Center at https://gifts.mdanderson.org, American Cancer Society at https://donate3.cancer.org, or the Association of Former Students-Texas A&M University at https://www.aggienetwork.com/give/memorialgiving. Memorial donations in memory of Mark may be made to MD Anderson Cancer Center at https://gifts.mdanderson.org, American Cancer Society at https://donate3.cancer.org, or the Association of Former Students-Texas A&M University at https://www.aggienetwork.